What the Heck is a Vinculum? PCGS offers several services that complement coin grading. One of those services is our TrueView service. In my opinion the best photographs in the business are TrueView photos. You can build your virtual collection using TrueView photos and enjoy it anywhere you are, anytime you wish with no security concerns or logistical hassles. TrueView photos add a new dimension to coin collecting that I really enjoy. Check out this week’s video for more information on this service. When you sell coins, whether raw or certified, how much are you willing to accept for them? Courtesy of Harv L. Thanks again Harv! Participate in the PCGS eCollector Survey and you could win a 2009 $1 PCGS SP valued at $75.00. Interested in submitting your own survey question? We’d love to see what you can come up with! Email your question (plus 5 multiple choice answers) and see if your question makes a future eCollector. The hunt for an elusive coin can turn collectors into serious coin detectives. We know it’s out there, but where? Which dealer, auction house or even fellow collector has that critical addition to your collection? Let PCGS Director of Application Development John Nelson guide you through PCGS.com as he reveals how the clues for your search are all around you. Unless you’re a Mathematics major or have been studying up for an appearance on Jeopardy, chances are you don’t know what the word ’vinculum’ means. But as a coin collector, chances are you have seen a vinculum quite frequently. Any guesses as to what it could be? PCGS CoinFacts President Ron Guth preps you for your next Jeopardy appearance in this week’s article. One of the attractions of this series is that there are no mega-rarities that prevent a person of average means from completing a date set. However, there are individual die varieties (such as the proof-only Newcomb 7 of 1834) that are extremely rare and expensive. 1816 is a common date that is popular as the first year of issue. The first overdate appears in 1819 (1819/8) along with Small and Large Date varieties. In 1836, Liberty’s head was modified by making the tip of the coronet more pointed and the tip of the bust narrower and less rounded. Most dates can be found in nice condition. Some dates, such as 1817 and 1820, were represented in hoards, making them a little easier to locate in top grades. Complete date sets of this series can be assembled with relative ease, particularly in circulated condition. Get detailed coin information, pricing, population reporting, auction prices realized, rarity and survival estimates and condition census on Coronet Head Cents with a free trial to PCGS CoinFacts. You Have Questions. PCGS Has Answers. Questions, questions, questions! We know you have them and PCGS Customer Service Manager David Talk is here to help you get answers. In this week’s article, David discusses the answers to the most commonly asked questions that PCGS Customer Service receives. Legend-Morphy Rare Coin Auctions ended its partnership with Morphy Auctions last Thursday in Las Vegas, rolling out both their largest sale to date and the first of many scheduled programming upgrades. The 487 lot Regency Auction VII saw feverish bidding, with pre-bids pouring in all the way up until the start of the exciting three-and-a-half-hour sale. For advertising, please contact Rebecca Tran at [email protected], or call: (949)567-1356. 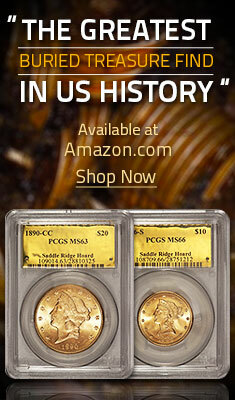 You have received this email as a subscriber to PCGS eCollector ezine. If you do not wish to receive future email communications from PCGS eCollector eZine, click here.